The finance ministry can continue to quibble, but the stark fact is that decades of underspending in education and health may result in India wasting its demographic dividend. On October 11, the World Bank launched the latest of its country rankings: the Human Capital Index (HCI). The objective of the index is to show how low education and health outcomes – or human capital – impact productivity, growth and prosperity. The ranking of 157 countries is also a way to “name and shame” governments that do not prioritise investments in human capital. India, unsurprisingly given its notoriously poor commitment on both health and education, is amongst the countries that have little to celebrate and much to improve. The HCI has three main components, which, taken together, compose the overall score. One, survival rates, measured as children’s probability of seeing their fifth birthday. Two, education, both in terms of the average number of years that children can expect to go to school and in terms of how much they are actually learning. Three, health, as measured by the proportion of children who are not malnourished and the probability of a 15-year old to live through her entire working age and celebrate her 60th birthday. The overall score for India is 0.44, whereas the highest country in the index (Singapore) has a score of 0.88 and the lowest (Chad) has a score of 0.29. What these numbers mean is that, in the case of India, a child born today will become 44% as productive an adult as she could be, had she lived in the country of Utopia where all children enjoy full education and full health (where the score would be 1). India is ranked 115 out of 157 countries in the index, below the world average and below the average for South Asia. Quite remarkably, much poorer neighbouring countries like Bangladesh and Nepal score better than India. Even compared with its peers in terms of GDP per capita, India’s score is lower than the average of middle-lower income countries. This should not come as surprise, as India has a long and problematic history of virtually no investment in human capital during the colonial period, followed by greater but still very low commitment to human capital formation by successive Indian governments. India’s combined public expenditure on health and education, for instance, (4.71% of the GDP) is nearly half of that of East Asian countries or Latin America. China, on the contrary, which invested heavily in health and education after the Maoist revolution, despite being as poor as (if not poorer than) India, today ranks 46 in the HCI index. India is ranked 115 out of 157 countries in the index, below the world average and below the average for South Asia. Whereas India does not come in the top 50% for any of the indicators, the two most problematic areas – those that bring down the HCI the most – are child malnutrition and the quality of education. Only 16 countries in the index have a higher proportion on stunted children. These are either some of the poorest countries in the world (mostly in Sub-Saharan Africa) or war-torn countries like Afghanistan and Yemen. 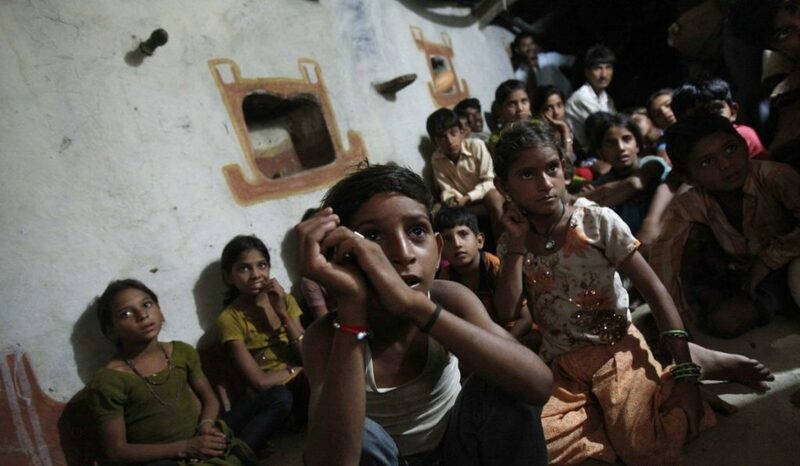 The terrible record of India in ensuring the well-being of its children should be treated as a national emergency. According to the latest Family and Health Survey, as many as 38% of the country’s children aged 5 or less are stunted. Malnutrition during the first two years of a person’s life has irremediable consequences in terms of cognitive and physical development and has severe repercussions on their ability to become healthy and productive adults. A recent World Bank report estimates that about two-thirds of today’s workforce in India earns on average 13% less than what they would have if they had not been stunted during childhood. Another World Bank study calculates that malnutrition costs India between 2 and 3 percentage points of GDP each year. This translates into billions of dollars of lost economic growth and into millions of people not able to escape poverty and deprivations. What the HCI shows is that these losses of productivity will continue to constitute a massive drag on growth and prosperity, severely limiting India’s ability to reap the benefits of its demographic dividend. The second area that needs immediate policy attention is education. Article 45 of the Constitution stipulates that “the State shall endeavour to provide, within a period of ten years from the commencement of this Constitution, for free and compulsory education for all children until they complete the age of fourteen years”. This was translated into law only in 2009 when the UPA government passed the Right to Education Act – with a delay of almost 50 years. The passage of the RTE Act did make a difference, and today virtually all children (both girls and boys) attend school for at least a few years. However, the quality of education is still very low. Only 20 countries in the HCI ranking – again mostly in Sub-Saharan Africa – perform worse than India in terms of educational outcomes. While the HCI figures should be taken with a pinch of salt, these results are in line with the findings of the latest ASER report , according to which 25% of youth in rural areas aged 14-18 cannot read fluently a simple text in their own native language and nearly 60% cannot make a simple division. The bit of good news coming out of the HCI is that, at least in the indicators used to construct the index, differences between boys and girls are negligible. Girls have the same probability of boys of surviving until their fifth birthday and perform better than boys at school. They are also more likely to live up to the age of 60. This does not mean that gender imbalances have disappeared or that boys and girls have the same kind of opportunities in their lives. But it does mean that the Indian state has been able to bridge the gender gap at least in these (very basic) dimensions of people’s lives. Sadly, the government of India has dismissed the report with the ministry of finance issuing a statement that criticises its methodology. The ministry makes three points. The first is that the HCI does not take into account GDP per capita. This would have arguably brought India higher up in the ranking (as it happens with the Human Development Index, where income is one of the main components). However, it is not clear why the HCI should have included a measure on income. As the data provided on the Human Capital Project’s website shows, income on the one hand, and educational and health outcomes on the other, do not necessarily go hand in hand. India is a case in point, with lower educational and health outcomes than what its GDP per capita would predict. Vietnam, on the other hand, has much better outcomes, relative to the size of its economy. Arguably, one of the objectives of the report was precisely to highlight educational and health outcomes, irrespective of a country’s wealth. The second objection to the HCI’s methodology is that the data used for assessing the quality of education is questionable at best. This is a fair point, as comparing test scores across countries is quite a difficult thing to do and the World Bank’s result is far from perfect. But it is not clear why the methodology used should penalise India more than other countries. It is also a bit preposterous that the finance ministry’s statement complains that the quality of education figures are the result of test scores taken in only two states (Himachal Pradesh and Tamil Nadu). I do not recall the ministry complaining about the Ease of Doing Business Ranking’s methodology which is based on data taken from only two cities (Delhi and Mumbai). Perhaps the fact that India performed really well in the latest ranking might explain why in that case using very selective data was deemed appropriate then. Secondly, Himachal Pradesh and Tamil Nadu are two of the most highly developed states in the country, so, if anything, using these two states should have been over, rather than under estimated India’s performance. The third criticism is that the index does not take into account recent initiatives like Samagra Shiksha Abhiyan or the Swachh Bharat Mission and even Aadhaar, when calculating the index. It is not clear why it should have. The HCI is an index that measures outcomes – like virtually all composite indexes – and not the tools to reach the outcomes. As such, it does not say anything about the present government’s effort to develop human capital. What it does say is that decades of underspending and under-commitment to education and health resulted in a situation where India is at serious risk of wasting its demographic dividend. And this is true irrespective of any methodology.